The following is an excerpt from a new book by my very smart, very funny friend Marjorie Ingall. 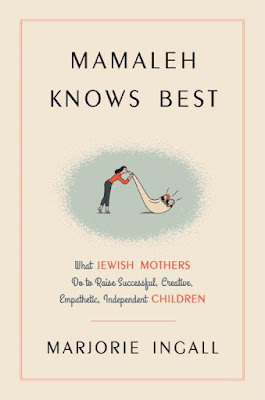 Mamaleh Knows Best: What Jewish Mothers Do to Raise Successful, Creative, Empathetic, Independent Children is packed with wisdom that applies to any parent, anywhere (as Margie says, "Jewish motherhood is a philosophy not an identity! "); it's also a generally interesting and amusing read. Margie is also the brains behind the apology-analyzing blog SorryWatch—very much worth a read, too. One tikkun olam lesson we should all be teaching our children is to stand up when someone else is being bullied. Studies indicate that bullying often takes place in front of an audience (in as many as nine in ten cases), but kids who witness bullying defend the victim less than 20 percent of the time. University of Illinois psychologist Dorothy Espelage found that sixth and seventh grade boys who didn’t bully but who were friends with bullies were less willing to intervene when they saw bullying in action. If you have a kid who is considered “cool” (I have not been so blessed, since my husband and I are geeks who have raised geeks), your kid has social capital! He or she can use it for the forces of good! But if your kid’s school isn’t encouraging these small acts of kindness, it’s up to you to encourage them. As a parent, you can make sure the language you use at home is slur-free, and you can talk about why tolerance and acceptance of differences are vital qualities. As Emily Bazelon points out in her terrific book Sticks and Stones: Defeating the Culture of Bullying and Rediscovering the Power of Character and Empathy, study after study shows that the best way to prevent the harassment of gay students is to make it unacceptable. Saying that you love the sinner but hate the sin does not fly. Schools and camps need to convey that slurs and taunts of all sorts are immoral, and parents can and should talk to principals to be sure the message is getting through. Tikkun olam should be a big tent. Jews have no monopoly on persecution and trauma, even though some of us want to play the Holocaust as a tribulation trump card. Six! Million! Ovens! Beat that, other marginalized groups! Yeah, no. Life is not a suffering competition. It’s our job to ensure that as our kids grow, they work to end ongoing, systemic inequities in their own cultural groups and in the wider world. Reprinted from MAMALEH KNOWS BEST: What Jewish Mothers Do to Raise Successful, Creative, Empathetic, Independent Children. Copyright © 2016 by Marjorie Ingall. Published by Harmony Books, an imprint of Penguin Random House LLC. 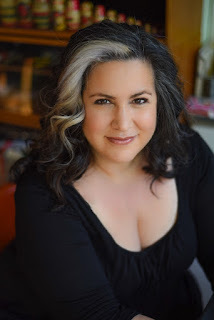 Even though I am not Jewish, I gleamed so much from this piece as someone who was bullied. I still remember the bystanders who stood up for me and gave me the courage to stand up for myself. That's the thing about the wisdom in this book—it's universal. Kathryn, I was also bullied, but nobody stood up for me. My mother was of the "turn the other cheek" mindset, which doesn't help when someone is physically abusive, so I learned to stand up for myself. Actually, make that sit: One day I literally SAT on the girl who was bullying me. I didn't hit her, I just sat on her. After that, she backed off. Hey, there's two sides to this thing. As someone who was the bully, I would like to point out that bullying can be disguised as a social justice campaign. I was young, passionate, and ignorant at the time, but that does not justify my actions. I kept equating standing and speaking up with courage so often that I forgot the amount of guts it takes to sit down and listen. I thought I was campaigning for something worthwhile the entire time, but I was just being willfully ignorant. This is the damage campaigning to stand up and speak--and only to do that--can cause. Thank you, Ellen, and thanks for the comments, everyone! -Stereotyping Christians as intolerant to promote "religious tolerance"